Looking for somewhere different to take the family? Finding interesting and educational places to entertain the kids is never easy, but here are five attractions that might offer you a little variety on a wet and windy afternoon. Founded in 1897 by the explorer and small game hunter Josiah Phelps upon his return from Penzance, the Totnes Museum of Unidentifiable Smells contains an unrivalled collection of mysterious whiffs, guffs and assorted odours. Each specimen, sealed in its own glass jar, has defied all efforts at identification and displays are organised according to the Roquefort Scale of Intolerable Pungency. The museum boasts a huge collection, spanning more than a hundred years and includes many famous pongs, such as the slightly sweet odour that famously settled over Lincolnshire for three weeks in 1962 and several samples of the damp and rancid miasma that traditionally haunts Maidstone every Ash Wednesday. Smells can also be purchased at the museum gift shop and these make excellent presents for people you may be moderately fond of. Nobody knows what caused this mysterious depression just outside Kings Lynn. With a depth of approximately twenty feet and a diameter just over twice that distance, its origins have been hotly debated since it was first discovered way back in 2002. Was it, as some people suggest, caused by a meteorite impact? Is it the tantalising evidence of some kind of extra-terrestrial visitation? Or was it dug out by the landowner using a JCB so that he could charge credulous tourists £12.50 apiece to come and see it. Whatever the explanation, the opportunity to stand up to your ankles in mud in the middle of a dirty great hole is not one to be missed. An ambitious project set up by retired baker and toast enthusiast Ken Achtung in 1982, to collect and catalogue the many varied forms of toasted bread products from around the world. The initial idea was to create a fully interactive experience in which visitors could touch, smell and even taste the exhibits while experiencing a professionally produced audio-visual presentation. The reality has fallen short of this in a number of ways - the museum currently possesses just five pieces of toast, only three of which are on display. These are kept behind glass, out of the reach of visitors, and the 'presentation' consists of a man called Billy who occasionally points at them with a stick. The museum has been voted Stoke's best attraction for the last fifteen years running. Do you like spoons? 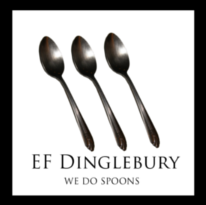 Then get yourself down to EF Dinglebury's in Sheffield. Dinglebury's has been Europe's leading manufacturer of spoons for the last eighty years and at their recently opened visitors' centre you can witness the mass-production of spoons first hand, in the company of a teenager on work experience dressed as Spoony, the firm's giant spoon-shaped mascot. It's just spoons, mind. They don't bother with forks or any of that modern nonsense. At the end of the tour you'll probably want to buy a commemoration spoon of your own. Too bad - Dinglebury's ship straight to wholesalers and don't deal direct with the general public. 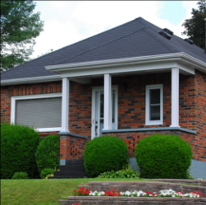 Some of the country's most popular attractions are sites of great historical significance, such as battlefields, stately houses and local landmarks. So perhaps it is not surprising that Barnsley's Museum of the Future should adopt this principal as a marketing strategy. The difference is that the Museum of the Future is housed in a semi-detatched bungalow built in 1998 and the only historical incident it has seen was a minor prang between Ford Transit and a Citroen Saxo in which the latter vehicle lost a tail light. And even then, historians fail to agree on the exact details - as indeed did the respective insurance companies. Nevertheless, the museum claims that the site will become important in the future, its proximity to local transport links and excellent parking leading to it being chosen to be the location for the 200th Olympic Games, the venue for the first historic encounter with visitors from another galaxy and the embarkation point for the first express elevator to take commuters through the core of the planet.